Being raised in America, I always felt I lacked a spiritual upbringing, that my world and the world around me was very material. I felt empty. It seemed all I did was for the future, for progress, and endless checklist of accomplishments that was supposed to make me feel successful, happy. But I wasn’t. I wasn’t living in the moment, not connected to the world around me. I didn’t know it at the time, but now looking back I realize I was afraid to live, afraid to really sing out loud and live my life. I had traveled to Tibet and other places and read probably a whole library of books seeking wisdom, but nothing ever changed my behavior and heart. Despite all material advantage, I always felt something was missing. When I decided to finally quit my well-paying job and move to Peru for 6 months, it was because I felt Juan Tangoa Paima was the only person I had ever met in my quest for spiritual knowledge who was truly the “real deal”. I had met Juan while traveling with a friend years before in the Amazon, and I never forgot him. As I flew to the Amazon, I told my friends and family I was off to “find my heart”. I knew at that point I had an ulcer from the stress and I felt like if I went on one more day living that way, I would die. That may sound dramatic, but I just felt totally empty, tired, and broken, despite the outer appearance of a life of success and happiness. I was spiritually broken down, “out of gas”. While I was in Peru living with Juan’s family and his kind wife Leonor, I learned a whole new philosophy of life and took sound advice from him to cure my spiritual crisis, and learned of the plant remedies from the Amazon that he uses to cure the physical body. It was as though they raised me as their own child in a spiritual upbringing. I can’t describe the way it feels to spend an afternoon with Juan in the peaceful environment of his home receiving his loving guidance. Juan always said “Love is the medicine”. I came to Peru with a broken heart, trauma of past failures, and a painful, worn out stomach and body. Six months later, I now feel fully healed, whole, and full of energy and calm focus. With Juan’s help, I found a path where i can live with positivity, and I learned to live from the heart, connected to the present, and forgetting the past. 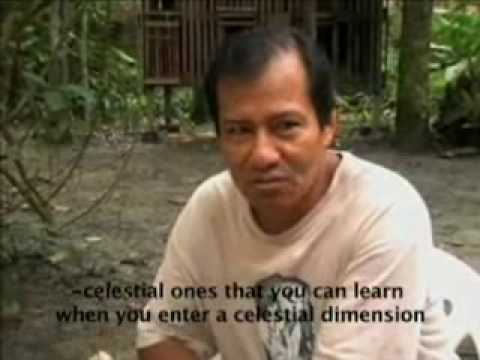 I highly recommend Juan and his guidance and healing spirit as a guide for anyone out there that feels the way I did. If you truly want to be healed and you put your willpower into it, I guarantee “The Maestro” can take you as far as you want to go.